Use our Heavy Duty Pin Vise for holding larger size drill bits, files, taps, etc. 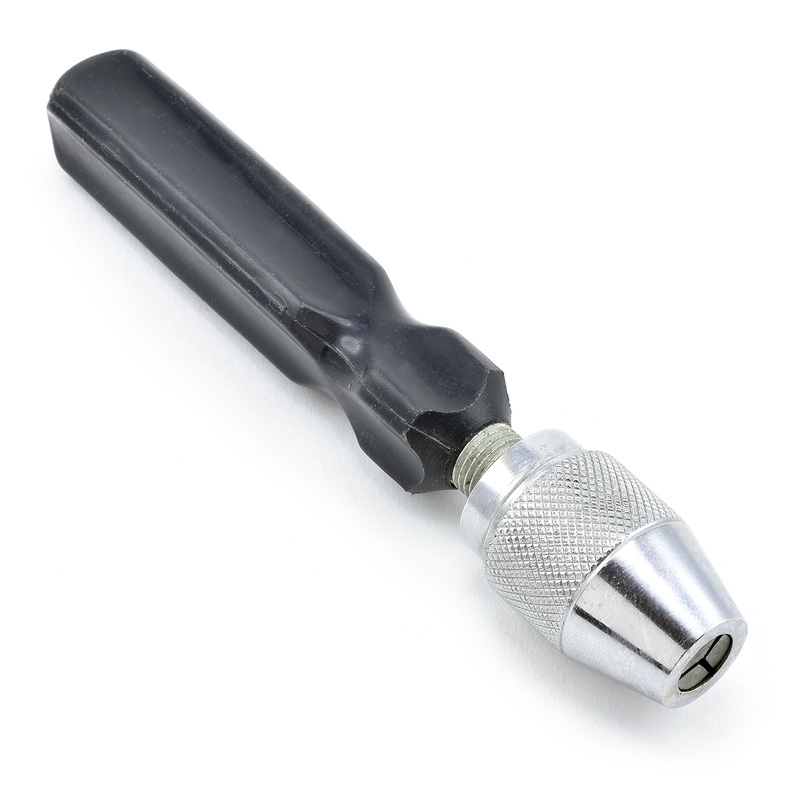 Plastic handle with keyless Jacobs type chuck holds all shanks from #72 (.025 inch) through 1/4 inch diameter. 6 inches long overall. Customer Reviews of This Item Average: 51HVY DUTY PIN VISE 0-1/4"
My main reason to go with this pin vise was its 1/4" capacity, and since it will close down to zero I find it's the only pin vise I need. Large enough handle to prevent hand cramps for hours of use.